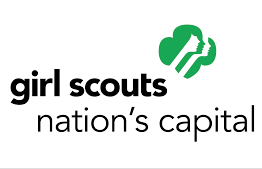 Girls Scouts of Greater Washington represents the largest region of Girl Scouts in the United States, including 5000 Troups, 60,000 girls and 27,000 dedicated parents. They also have eight camps. They plan to encourage Troup Leaders to engage their scouts about issues of the environment and decorate their parachutes with artwork and comments about living sustainably. The first major event is planned for April, 2019.